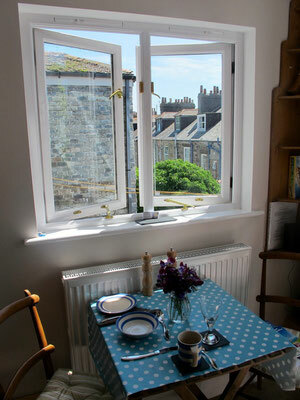 Number Nine offers extremely comfortable accommodation in a lovely Georgian house (circa 1830) located in Regent Square in the centre of Penzance. 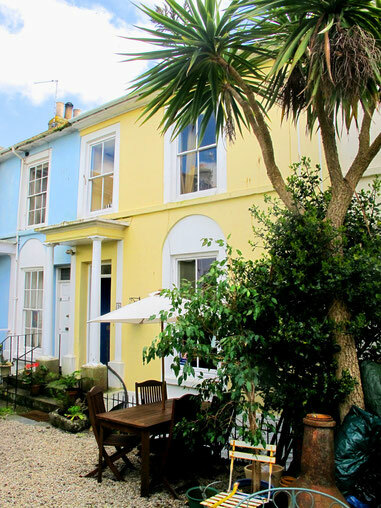 The property is close to the sea and the Promenade, just off the historic Chapel Street and literally minutes from a wide variety of cosy pubs and restaurants. The ferry terminal to the Scilly Isles is just 5 minutes walk away, and Penzance's train and bus stations are around 10 minutes away. 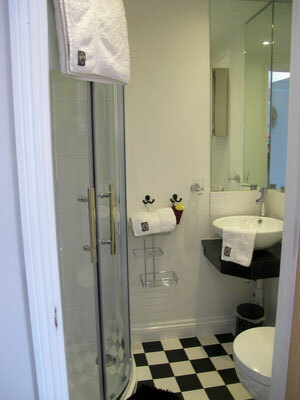 We have just two double bedrooms each with en-suite bathrooms. 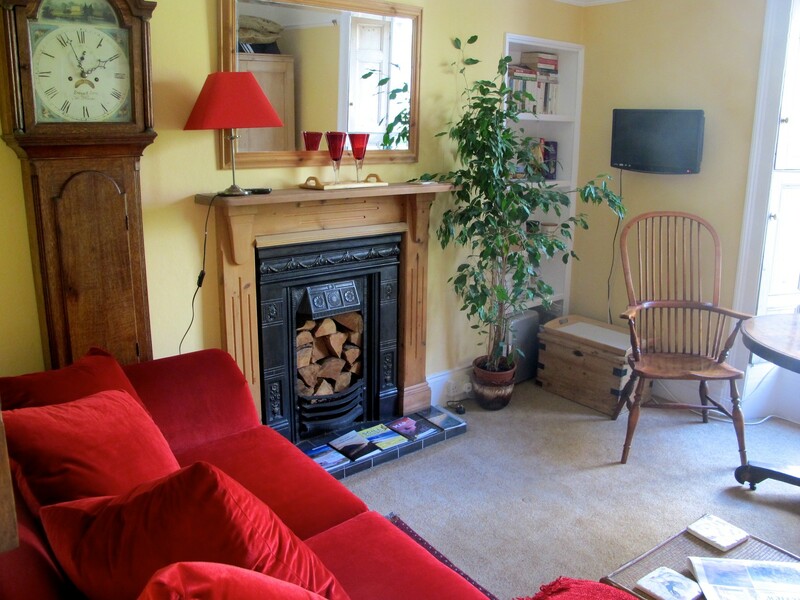 On the First Floor Suite you have the additional benefit of your own separate private sitting room / dining room for your exclusive use during your stay. The Balcony Room has lovely views over the square, a four-poster bed, dining area, and to the rear, a balcony with distant sea views. Number Nine Penzance is ideally suited for exploration of the Penwith area including the South West Coastal Footpath, and is on the Lands End to John O'Groats cycling route (bicycles welcome!). Penzance itself has a variety of interesting shops and has pubs, bars and restaurants with good food and real ales, cider and local produce. 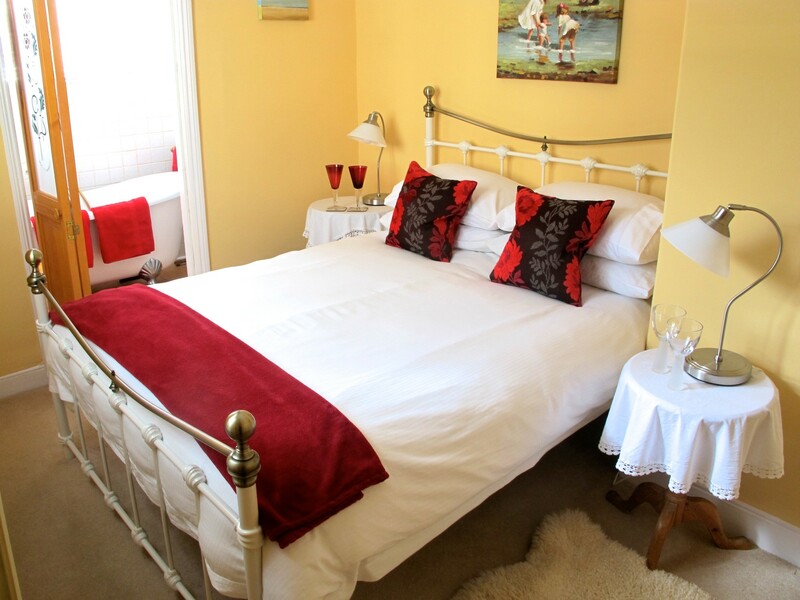 The accommodation is situated very close to Penzance seafront and promenade and the world famous Jubilee Pool which has recently been restored after storm damage. There is a flourishing music scene with live music, folk clubs and local festivals such as Penzance's Golowan (mid-summer), Montol (mid-winter), Falmouth Sea-Shanty Festival, Newlyn Fish Festival, Tom Bawcock's Eve at Mousehole etc. 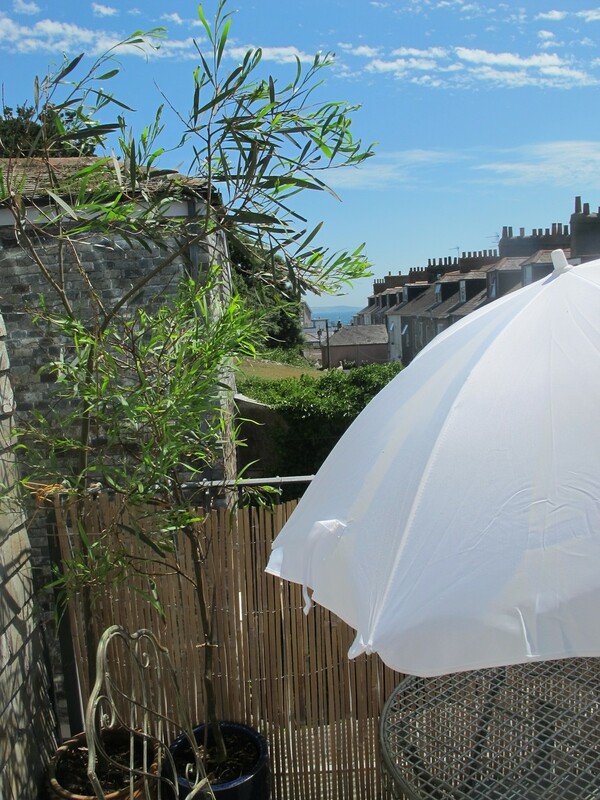 Penzance has many interesting shops, the Acorn Theatre, a Leisure Centre, Library, parks and many art galleries, including Penlee Park and Newlyn Gallery. Fishing trips can be booked from Penzance harbour, just a few minutes walk away, and the Scillonian sails each day to the Isles of Scilly. St Ives and Lands End are close by and many world-class beaches are available (including Sennen). Many of these are good for rock-pooling, swimming, surfing, windsurfing, sailing, kayaking etc. 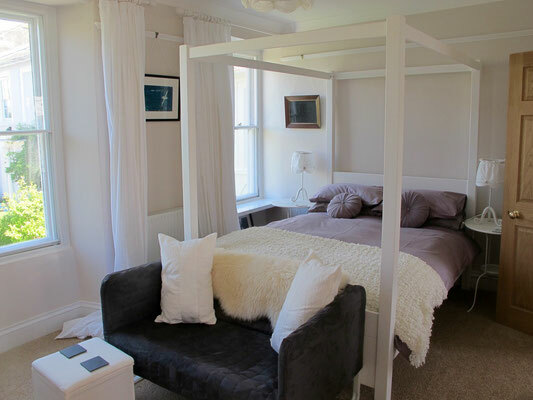 All guests receive breakfast and a complementary cream tea included in the room price. 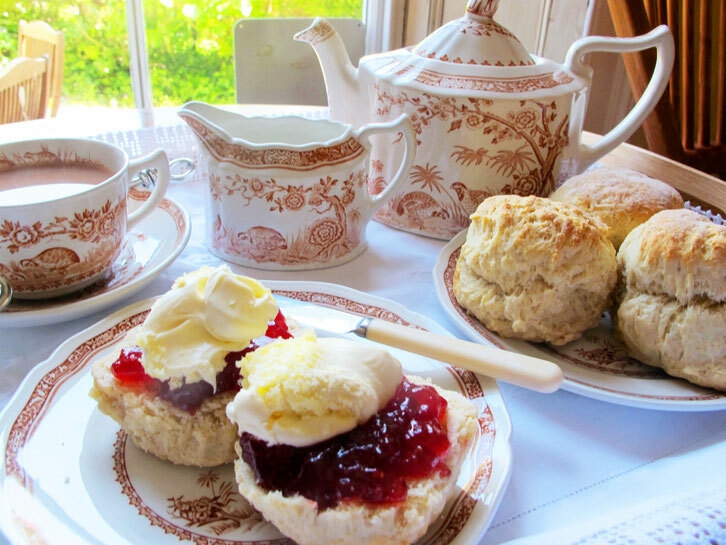 On arrival, all guests receive a cream tea featuring home-made scones, Cornish clotted cream and jam. Each guest can choose their own hot drink from a selection including tea, Cafetière coffee and a variety of herbal teas. Vegetarian and Gluten-free options are available for breakfast and the cream tea. We have a coeliac family member so are used to catering for a strict gluten-free diet (we even have a gluten-free toaster!). Please let us know if you have any special dietary requirements at the time of booking. Toiletries and towels and a hairdryer are provided. 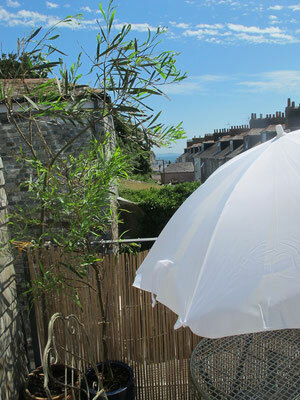 with table and chairs for evening drinks or enjoying your breakfast al-fresco. 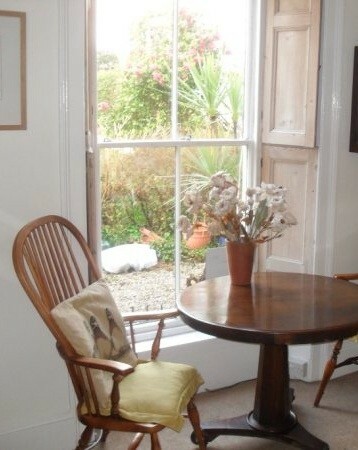 Offers distant sea view.